Over the weekend Samsung has released a teaser video for its new Galaxy Note II which is expected to be unveiled in its entirety on August 29th 2012, during Samsung’s Unpacked event in Berlin later this month. 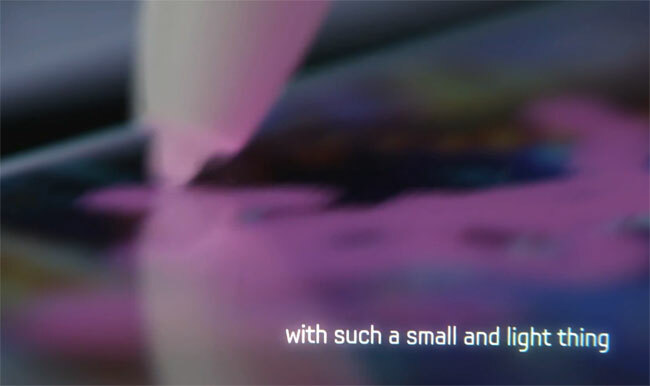 The 38 seconds teaser promotional video includes fleeting glimpses of the new smartphone/tablet and its stylus, and pushes the creative side of the device as Samsung did with its Galaxy Note 10.1 promotional videos. Director Wim Wenders helped Samsung create the short trailer for their upcoming Galaxy Note II, and last week a screen glass for the new Galaxy Note II was rumoured to be leaked showing a little more of the design for the Galaxy Note II.